I drove over to my parents yesterday in the 41 degree heat and strong winds. My car has air conditioning so the heat wasn’t really a problem. The winds were quite strong and the dust they blew up was full-on. At one stage it was like driving through thick fog as I could hardly see a few metres in front of me. When I took these photos the visibility was quite good in comparison. It was a bit like being on a different planet because the visibility was so poor and seeing dust like this is so uncommon. Thankfully we made it in one piece and didn’t break down or anything. Unfortunately the same cannot be said for far too many people in Victoria, Australia. They’re are suffering devastating bushfires that will be remembered for a long long time. On Twitter the trending topic at the moment is #bushfires. I watched one of the many special news broadcasts this afternoon where they showed the mayhem the fires have wrought and the word holocaust has been mentioned more than once as that’s how bad they are. Now if we could just move some of that flood water from Queensland to Victoria it would make everyone happy. If you’re looking to donate there is a Victoria Bush Fire relief fund already setup through the National Australia Bank. Bank account details: BSB: 082-001, Account: 860 046 797. You can also donate online to the Red Cross. Full details of how to donate are on the SBS news site. I just heard the news about the fires…how terrible!!! My prayers are with those that are fighting….stay safe!! Stacie, the news just gets worse and worse. Over 100 confirmed dead and around 750 homes lost. It’s hard not to think about it. 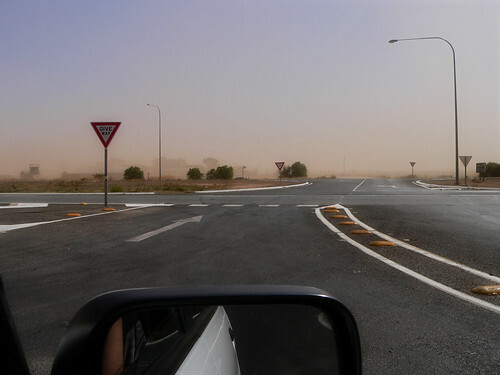 Oh Jen – I have just finished a book called “The Worst Hard Time” about the dust bowl – your storm photos reminded me of it, as did reading it remind me of the story of Northern South Australian agriculture. Devastated by the news from Victoria. Oh my gosh Jen…I just saw something on the news here about those brushfires and all those deaths…..so awful. I’m relieved that you aren’t involved in anything like that. 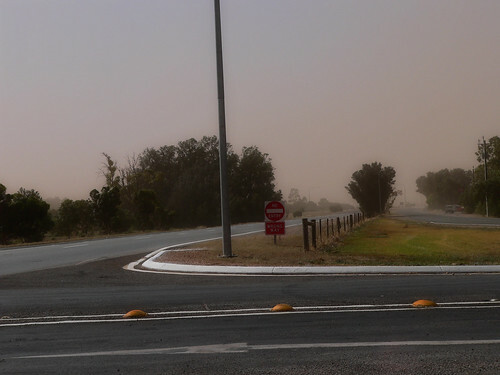 Please be careful driving around in all the wind and dust…I know you are. Joy, yes the death count just keeps on rising. It’s horrific. And yes, I was very careful driving in that dust. It’s over now but I felt revolting the day after – a dust hangover I reckon. But nothing compared to what firefighters etc are going through interstate.